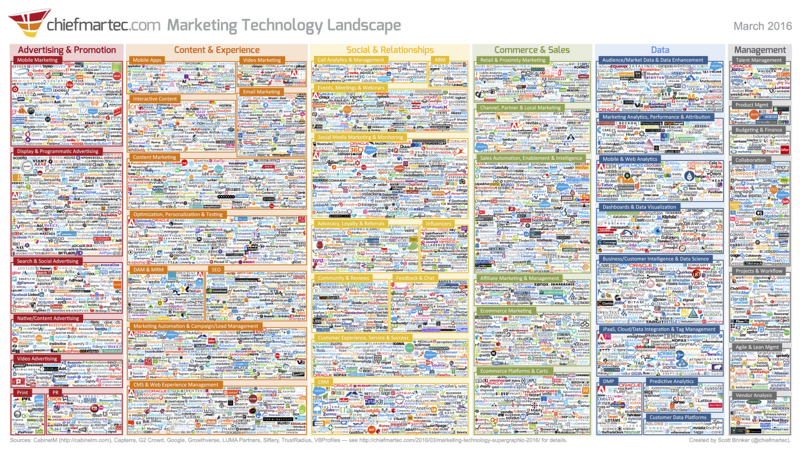 Heinz Marketing has partnered with Scott Brinker to produce a detailed directory of the 2016 Marketing Technology Landscape which you can download here. Scott Brinker annually produces the Marketing Technology Landscape Supergraphic with detailed analysis on the dynamic growth and changes in the space. Now you can have all of the companies in one complete reference directory.